We recruit true professionals who excel in their fields and share our core values of integrity and transparency. Our people are not only experts in their fields, but are committed to the future growth of our company. This approach extends to every aspect of Nortrade International – from managing accounts to quality control, outturn reports, market intelligence, commercial contracts and affreightment. We recognise that attention to detail and reliability are vital. Every single member of our staff and all our contractors are committed to providing a professional and expert service to all our clients and partners. Harry is founding director of Nortrade International. With 25 years of International Commodity trading behind him and Bachelor of Commerce Degree from the University of Melbourne, Harry is charged with the responsibility for Nortrades success. 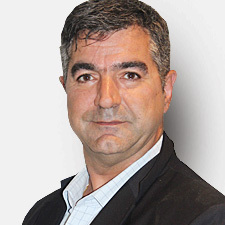 His extensive knowledge and experience in all facets of International trade and developing markets is an integral part of Nortrade’s success and standing. With a wide network that spans over a quarter of a century, His passion and integrity has ensured long term relationships with key players in the industry from Scrap metal processors and steel makers through to Shipping Companies and International Bankers. A devoted father of four with a keen interest in Chess, Australian Rules Football and of course International politics Harry will always strive to ensure success for Nortrade and its clients. 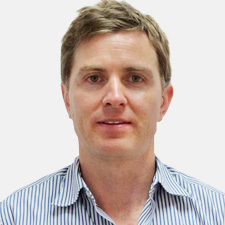 Drew joined Nortrade in February 2001 and is the most senior employee of the company. 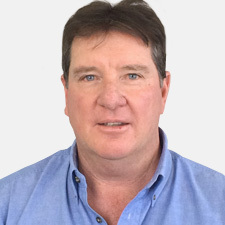 Coming from an extensive commodity trading and International banking background of 30 Years’ experience, Drew was an integral part of the growth and success of Nortrade from its early years and now as Operations Manager is an integral and indispensable part of the Nortrade's current standing and its future. Known for his acute attention to detail and keen follower of all sport in particular Australian Rules Football, Cricket, International Soccer and Horse racing, Drew is one of the most respected people in the Industry and a leader in his field. Our clients and all of us who work at Nortrade are better for knowing and working with Drew. Peter joined Nortrade in 2010 as Manager of Logistics. With 15 years of experience emanating from large Multi-National organisations and blessed with a mind that works in stages, Pete’s ability to break down any material flow into separate working parts and then ensuring each of those parts is working to their optimum is exceptional and a valuable resource for Nortrade and our clients. 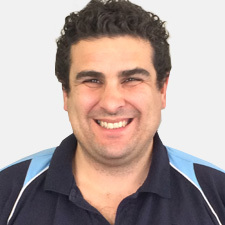 With an active interest in Thoroughbred racing and as a Senior football coach Pete is a good man to have around. 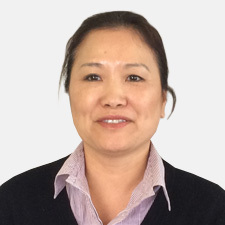 Lixian joined Nortrade in 2008 as Account manager. With 20 years of experience in the export industry and a double degree in Banking Finance and International Trade, Lixian is responsible for ensuring our books are kept up to date and that each of our transactions are kept to budget. Being an Australian of Chinese Descent Lixian’s bilingual and bi-cultural skills, Lixian provides additional resource for us and is a valuable member of our team. She loves travelling and enjoying good food and wine with good company. Nick joined the Nortrade team in 2009 after spending several years trading scrap out of Australia -representing a large Multinational for Raw material supply from Australia and New Zealand into Asia. He opened the European division of Nortrade and has since assisted in developing Nortrade’s presence across Europe and The Middle East. He enjoys keeping fit and healthy having played Australian Football and Cricket throughout his youth and early adult years. He resides in London, enjoys good food, cooking and Modern Art. His business philosophy is to enjoy, embrace, develop and progress. 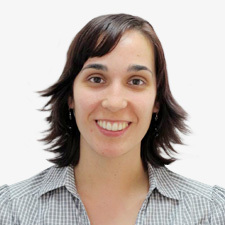 Miriam is the latest member to join Nortrade International. She has a degree in Environmental Sciences and brings experience in the waste industry amongst other areas of expertise. She is a Spanish National having lived and worked in Spain until 2013 when she moved to London. In 2014 she joined the Nortrade London office to complete the team and to assist in the business growth and development. She enjoys being part of a team and is always ready to face new challenges and to learn new things. She loves animals, traveling, nature and enjoys discovering new places where she can stay just gazing at the landscape and taking photographs to remember. She speaks Spanish and English. 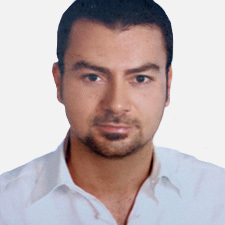 Burak joined the Nortrade Team in 2010 after working for 5 years trading long steel products out of Turkey ( from one of Turkey’s largest manufacturers ) into Middle East, Bulgaria and Romania. Since 2010 he has been managing Nortrade Turkey office involving himself in shipping, logistics, quality control and export business. He has a university degree in Business Management. He resides in Istanbul and enjoys movies, music and history.